Frank started his real estate career as a condo conversion pioneer when he worked at American Invsco in the 80's. He was the youngest manager for the company at the time and helped convert 15 major high-rises in Chicago accounting for well over 2,000 units. Together, with his wife Cheryl Mitrick, they started their own company, Real Tek Realty, where they launched their own rental, sales, and management divisions. After 25 years on their own, they are excited to bring their expertise as founding members to Compass. 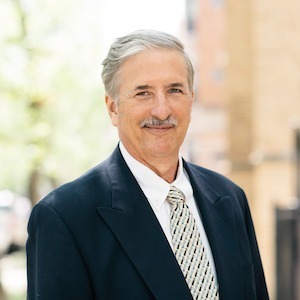 Through the years Frank has found a passion for rehabbing condos and single family homes, many of which he has kept for his personal real estate portfolio. Growing up caddying at Beverly Country Club in Chicago, Frank has always been passionate about golf. He went on to receive a golf scholarship to play at the University of Montevallo in Alabama. In his downtime you can find Frank driving his golf cart around Lake Geneva with his wife and two Jack Russels.